BANGKOK: Renowned conservationist Sasin Chalermlarp, chairman of the Seub Nakhasathien Foundation, is organising a march for people to urge the judicial system to act without bias when dealing with the poaching allegations against Premchai Karnasuta. “We are considering many possible routes, and whether it should happen in Bangkok or along the route between Bangkok and Thong Pha Phum Court in Kanchanaburi province. Of course, we will not do something small,” said Mr Sasin, adding that it would likely happen between April and May, which is when the prosecution is expected to submit the case to the court. It will not be the first time that Mr Sasin has marched over an issue. Over four years ago, he walked 388 kilometres from Nakhon Ratchasima to Bangkok to raise awareness against the construction of the Mae Wong dam, which the state wanted to build in the wildlife sanctuary of the local national park. For almost two decades, the Seub Nakhasathien Foundation has been active in conservation campaigns in Unesco World Heritage Site Thungyai Naresuan as well as other wildlife sanctuaries. Mr Sasin said that it is be possible that Premchai might be found guilty, but he might be given a suspended jail sentence, something which has not been uncommon in many cases relating to influential figures. Also yesterday (Mar 26), the Department of National Parks, Wildlife and Plant Conservation (DNP) revised the value of financial loss in the case up to B13 million, based on the value of the carcasses of wild animals found at the tycoon’s camping site. Of the total sum, B12.75mn relates to the value of the black Indochinese leopard, while the silver pheasant was estimated to be worth B25,224. Both animals are protected species. The wild boar was valued at B22,500. The B13mn figure is based on the cost of raising a similar animal, in this case, a regular leopard. The estimated financial damage does not cover the damage caused to the environment and ecosystem. If the prosecution decides to pursue the case, it will be the country’s first such civil lawsuit over the poaching of wildlife. 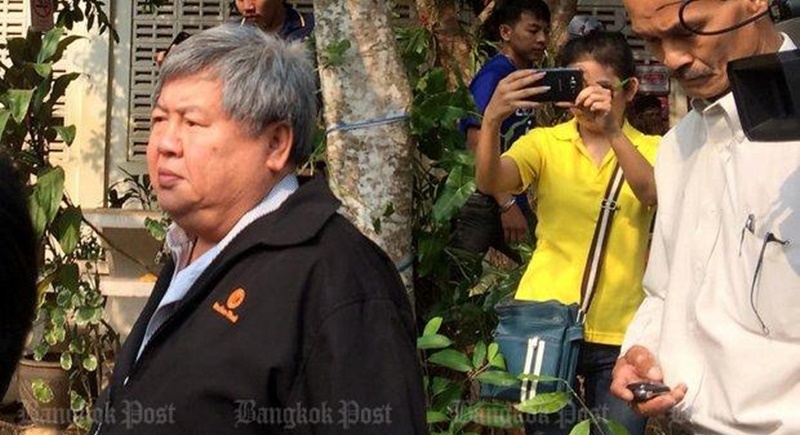 In a related development, police stated yesterday that Premchai faces a total of 13 charges, in addition to the civil lawsuit, in connection with his hunting trip in Thungyai wildlife sanctuary in early February. Seen as a move to assure the public, deputy national police chief Srivara Ransibrahmanakul said among the charges against the president of Italian-Thai Development Plc is one relating to an alleged attempt to bribe officials. Mr Srivara said the full charge sheet is expected to be concluded later this week. He said he has instructed the Natural Resources and Environmental Crime Suppression Division and the Counter Corruption Division to speed up their probes to submit to the prosecution on Friday (Mar 30). Premchai and his three companions were arrested on the night of Feb 4 by a team of rangers led by Thungyai wildlife sanctuary chief Wichian Chinnawong. The most notorious items found at their camp were the pelt of the rare black Indochinese leopard and a cooking pot containing leopard-meat soup. More power to Khun Sasin. It is people like him (rare in Thailand) that can cause drastically needed change in Thai society. Not only in the effort to ensure that the wealthy poaching scumbag gets his comeuppance, but to show the average Thai citizen that there is great power in banding together to fight the existing corrupt power structure. !!! Power to the Thai People !! !